At the end of the seventies a good friend from Ghana gave a book to me as a birthday present. It was “A Man of the People” by Chinua Achebe, the great author from Nigeria. Then started my close encounter with this giant of African literature, better to say of world literature (1)! I´ve read the book at least six times by now, but needless to say that I also read the other three books of that brilliant cycle from pre colonial days and the appearance of the “palefaces”, “Things Fall Apart”, over the struggles with the occupant, “Arrow of God” and the time shortly before independence, “No Longer at Ease” to the book mentioned at the beginning and the time after independence. They always kept me breathless to the last page. The poem collection “Beware Soul Brother” got only into my hand some seven years ago. I feel shame but also obliged to admit that Anthills of the Savannah and “An Image of Africa: Racism in Conrad’s „Heart of Darkness“ and other works are still on my “have to read” list! After all it is “A Man of the People” which always has touched me most. As for a guy (now as old as 65) born in Hamburg you might suspect that the scenery of that time with the colonized habits might be nearer to me, but the reasons are others. Firstly it reflects the time of “new start” which I remember too well, since I was absorbed and integrated into the African Community of Hamburg 1968 with the beginning of my sociological studies. The optimism and the feeling of endangered independence were also vibrating in that African Diaspora in Germany. Secondly the book shows how “European corruption” (I prefer to call what is in Western media generally dubbed “African corruption” so, since it has been brought to Africa from West) is undermining the new won “Independence”, which was never meant to be real independence by the West! Thirdly the presentation of school life as given in the first part of “A Man of the People” is so authentic because it reflexes Achebe´s own experiences as a teacher in the beginning of his professional career. The book is always like a time machine to me because it presents the mental atmosphere of this mixture between optimism of people somehow at the beginning of their adult life and skepticism of the future seemingly so much dominated by the West which was so characteristic of my young days in Hamburg´s African community. Honestly spoken, as much as Wole Soyinka has deserved the Nobel Prize for Literature, I always felt Achebe should have been the first African Author to get it, irrespective of the fact that if I´d have known him personally I´d have quarreled with him during the days of the “Biafra war” as I used to quarrel with two other good Igbo friends about this imperialist inspired war. But to hell with the Nobel Prize, Africa would have the capacity to establish its own system of honoring “men and women of pen”! only use in deadly haste. It should be mentioned that apart from my deep personal friendships and literary enthusiasm I have more connections to Nigeria. 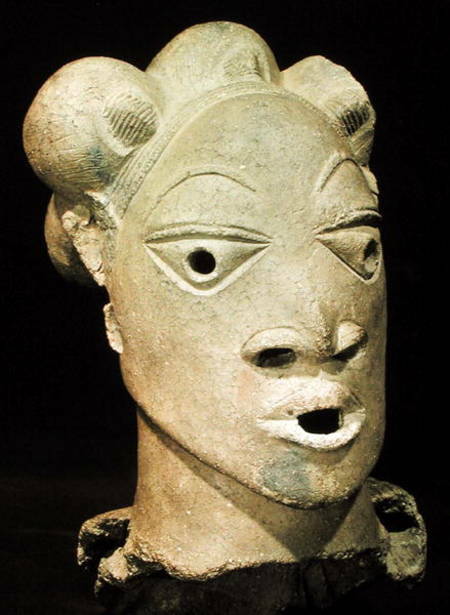 My little artistic efforts (http://tinyurl.com/3kyjdo6) have been inspired a lot by the art from ancient Nigeria, especially from the art of the Nok people, produced around 500 BC (2) and more even by the art works from Ife (3). Moreover I had and have the pleasure to see a young Nigerian artist, Burxy Sule (http://tinyurl.com/8cs9pz5) rising to wonderful artistic brilliance. With all these close ties I feel more obliged to say to Nigeria: sorry, sorry, you great country, I deeply feel with you! Thank you for sharing. 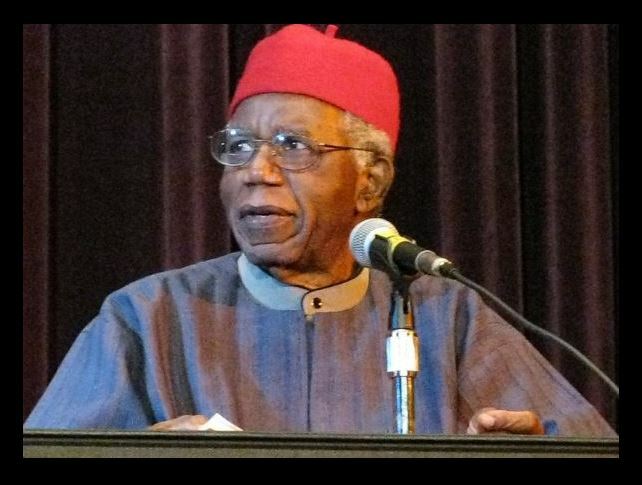 Yes… I always felt that Chinua Achebe should have won a Nobel Prize of Literature for his work which marked a lifetime. Thanks for sharing this great poem of Chinua Achebe. Thanks a lot for your friendly comment! May I also espress my compliment for your inspiring blog and work for clarity! Thanks for reblogging and best regards as always! U know how we do it komrade. Thank you, Dear! Have an energy recreating Weekend! Lateinamerika und „Habemus Papam“: was soll zugedeckt werden?